“Feel Good Inc.” is a song by British virtual band Gorillaz, featuring American hip-hop group De La Soul. The song was released as the lead single from the band’s second studio album Demon Days on 9 May 2005. The single peaked at No. 2 in the United Kingdom and No. 14 in the United States. It also topped the Hot Modern Rock Tracks chart in the U.S. for eight consecutive weeks, a first for the band. This is the only song in Damon Albarn’s career to reach the top 40 on the Billboard Hot 100. It peaked in the top 10 in 17 countries, reaching No. 1 in Spain. The song was listed in Pitchfork Media and Rolling Stone’s Best Songs of the 2000s. The song won Best Pop Collaboration at the 2006 Grammy Awards. It surpassed “Clint Eastwood” to become Gorillaz’s most successful single worldwide. 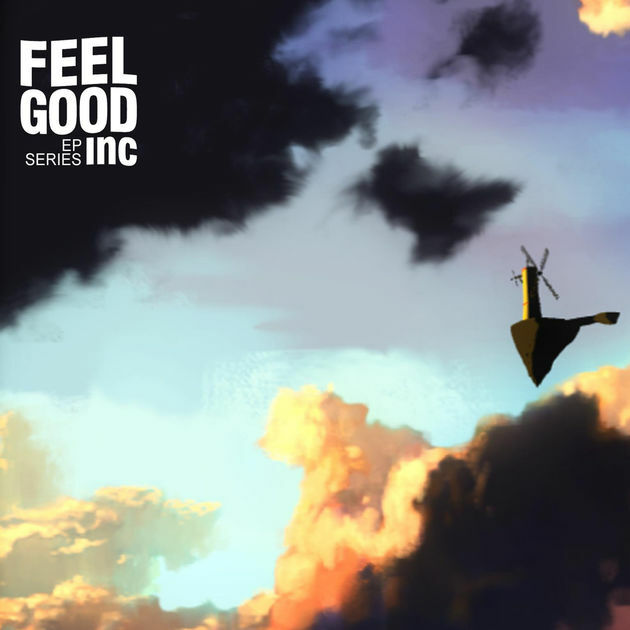 Feel Good Inc. has been certified platinum by the BPI and ARIA. Popdose ranked it 26th on their list of 100 best songs of the decade. Demon Days is the second studio album by British virtual band Gorillaz, released on 11 May 2005 in Japan and on 23 May internationally by Parlophone Records and in the United States by Virgin Records. The album features contributions from De La Soul, Neneh Cherry, Martina Topley-Bird, Roots Manuva, MF Doom, Ike Turner, Bootie Brown of the Pharcyde, Shaun Ryder, Dennis Hopper, the London Community Gospel Choir, and a children’s choir. Frontman Damon Albarn brought in Danger Mouse as producer. Demon Days entered the UK charts at number 1 the US charts at number 6 and the Euro charts at number 1, Demon Days went six times platinum in the UK and double platinum in the US. Outperforming the band’s debut album the album has sold eight million copies worldwide. The album features the singles “Feel Good Inc.”, “DARE”, “Dirty Harry”, “Kids with Guns”, and “El Mañana”. As with their debut album, the release of Demon Days and its respective live performances were both accompanied by various multimedia. These included interactive features on the Gorillaz website, a total of four animated music videos, virtual interview sessions with the band and animatics for each song. Almost all of the visuals associated with the album were designed by Gorillaz co-creator Jamie Hewlett as his design company, Zombie Flesh Eaters. Spin ranked Demon Days as the fourth-best album of 2005, while Mojo ranked it at number eighteen on their year-end list and hailed the album as a “genre-busting, contemporary pop milestone.” NME placed it 98th on their list of 100 greatest albums of the decade. Uncut ranked it at 75 on their list of top 150 albums of the decade. Complex included it on their list of 100 Best Albums of the Complex Decade, placing it at number 43. Spin later included it in their list of The 300 Best Albums of 1985–2014.